Lao zi, Book of Dao and Power (Dao de Jing) – completed with illustrative passages from Zhuang Zi; Introduction, translation from classical Chinese and notes by Dinu Luca, Humanitas, Bucharest 1993. 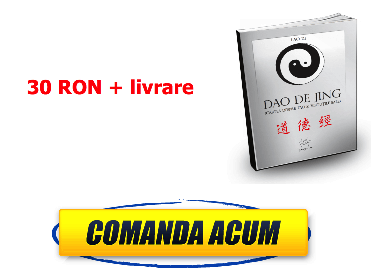 Lao Zi, The Book on Dao and Its Virtues, translation from classical Chinese, introduction, commentary and notes by Şerban Toader, Editura Ştiinţifică, Bibliotheca Orientalis series, Bucharest 1999. Moral Values in Primitive Daoism – by Tatiana SEGAL, Orfeu 2000, Bucharest. Lie Zi, Path of the Perfect Void – translation from classical Chinese, introduction, notes and commentaries by Florentina Visan and Irina Ivascu, Polirom, 2000. Zhuang Zi, Free Journey – translation from classical Chinese, notes, introductory study, glossary and bibliography by Luminita Balan and Tatiana Segal, Humanitas, Bucharest.